There he found some disciples. And he said to them, "Did you receive the Holy Spirit when you believed?" And they said, "No, we have not even heard that there is a Holy Spirit." And he said, "Into what then were you baptized?" They said, "Into John's baptism." 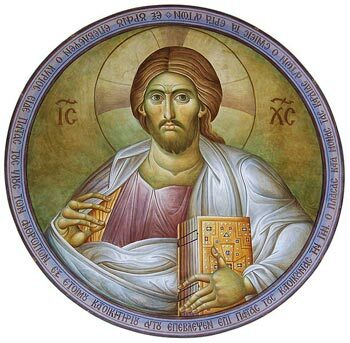 And Paul said, "John baptized with the baptism of repentance, telling the people to believe in the one who was to come after him, that is, Jesus." On hearing this, they were baptized in the name of the Lord Jesus. And when Paul had laid his hands on them, the Holy Spirit came on them, and they began speaking in tongues and prophesying. There were about twelve men in all. Our information about the early church in Ephesus before Paul's second visit is almost non-existent. 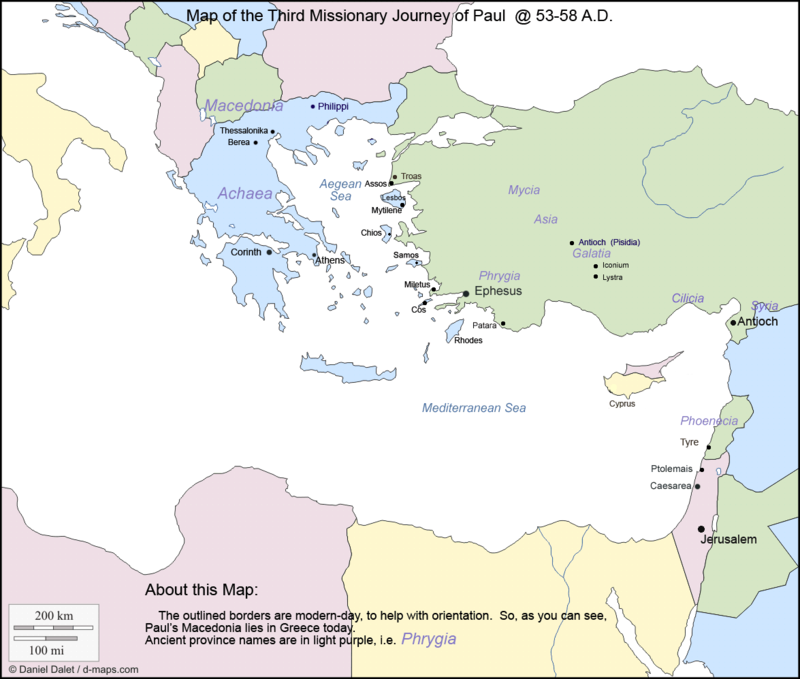 On his second missionary journey, he visited Ephesus for the first time; this first visit, however, was really just an overnight stop. He did nothing more than drop off Priscilla and Aquila and promise to return. 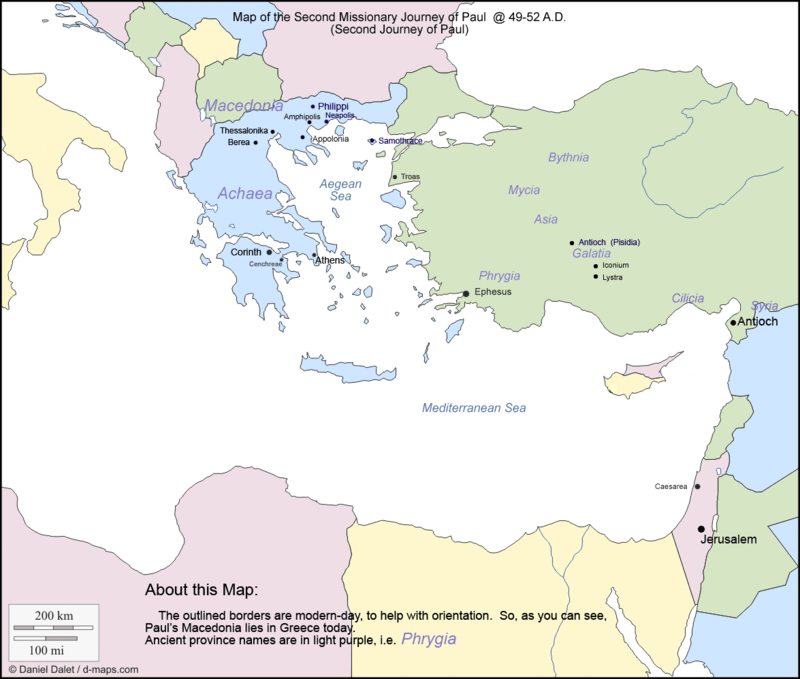 At the time, he was anxious to get back to Antioch after his long sojourn through Macedonia and Greece. Some of them must have been fairly old, to have been baptized by John the Baptist well over 50 years previously. In fact, the whole situation is odd -- have this group been waiting in isolation since the days of John the Baptist? It is perhaps possible that they have not even met Priscilla and Aquila, but this would seem unlikely. The little Christian churches of this period must have felt isolated. They were separated by vast distances and tied together with only an occasional visit from one of the apostles (or perhaps a believer passing through on business). Otherwise, they had almost no communication except for a rare letter, especially if they were inland where travelers were less common. Now that Paul has come back, things are about to kick into high gear. His visit to Ephesus, lasting over two years, will form the heart of his third journey. And as we will see in Acts 19, the prior disruptions cause by Paul have been minor compared to the disturbance he will cause in Ephesus.